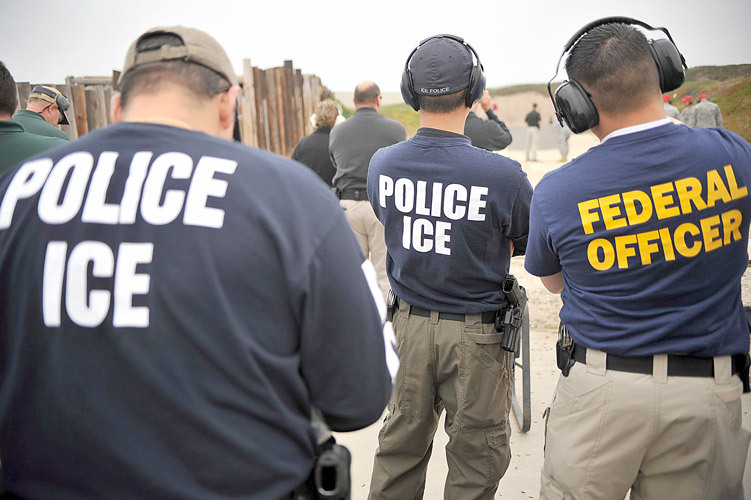 “ICE already has a tremendous amount of information at their disposal,” says Fernández. When ICE knocks, you don’t have to open the door. A recent video from Clayton, North Carolina, reveals a pre-dawn raid conducted by Immigration Customs Enforcement (ICE) where Juan Oliva, 33, says goodbye to his children before his arrest. In the video shot by his wife, agents tell Oliva, who is originally from El Salvador, that if they have to break down the door, they will add criminal charges to the deportation order. “The details of what happened in North Carolina is something unfortunate that I think is being repeated sometimes thousands of times a day throughout our country,” said Ángela Fernández, Executive Director of Northern Manhattan Coalition for Immigrant Rights (NMCIR). The tactic used by ICE —threatening to bring criminal charges if they have to beat down the door—is a ruse. “ICE needs to slip a warrant under the door. The warrant has to say that they are looking for the person and it has to have the exact name of that person and it must be signed by a federal judge,” she said. ICE reportedly told the family that they found Oliva’s home by putting a “chip” on their son, which led them to their location.